From the latin "Triumphant Chip Stands"
Represent your town on holiday this summer with this Scarborough T-shirt. Time was if you wanted to swim in the sea in Scarborough, you’d be strapped into a hulking great metal box to preserve your modesty. Sadly, due to embargoes placed upon the town by the East Riding Trade Federation, swimming costumes were a strange and unheard of luxury. This corrupt trading scheme was put in place purely to preserve the interests of local metalworks owner Hank Bloat. Bloat was not only the chair of the ERTF but also owned all three manufacturing plants where the swimming contraptions were assembled. Intrepid organised crime reporter Keira Shrub exposed Shrub’s double dealings (“Hank’s Shrubble Dealings”, The Daily Scar, Feb 1823) to a shocked public before mysteriously vanishing on the eve of her 91st birthday. Following the publication of the report a full public inquiry, headed up by local metalworks owner Hank Bloat, found no evidence of any wrongdoing and extended the ban for a further 800 years. 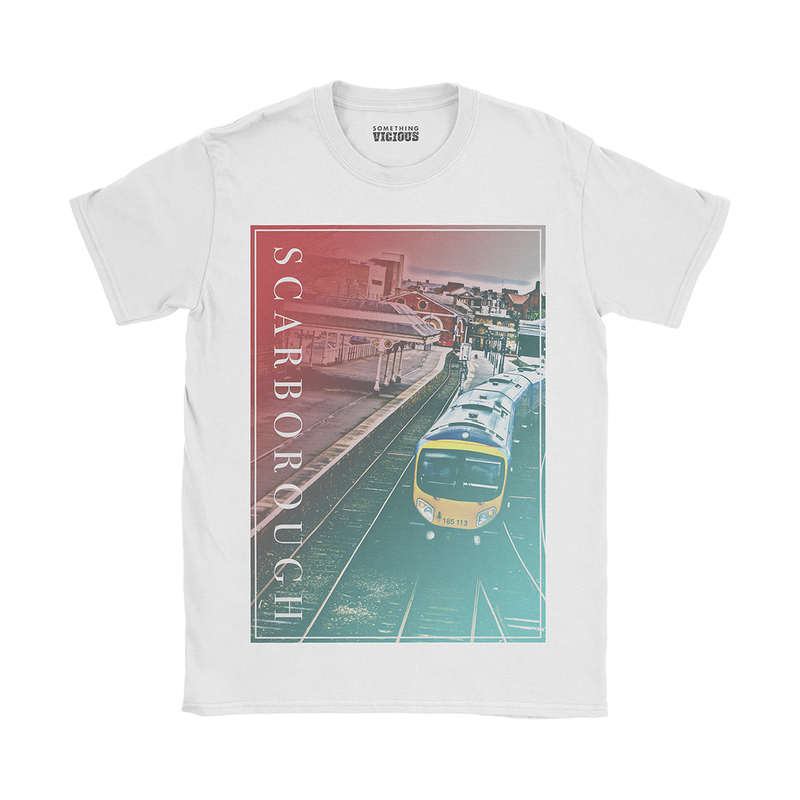 This exclusive design, inspired by legendary northern seaside town of Scarborough, is printed direct to garment in long lasting inks onto premium quality, eco-friendly organic cotton and shipped with love to your doormat.